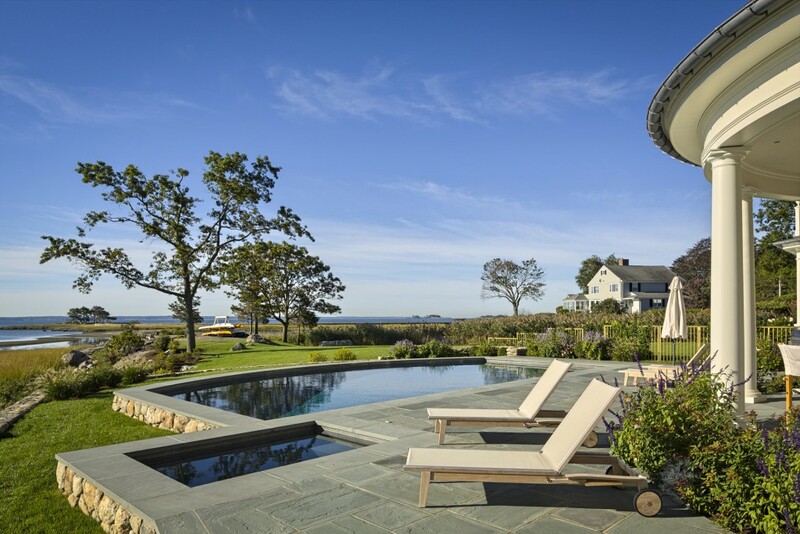 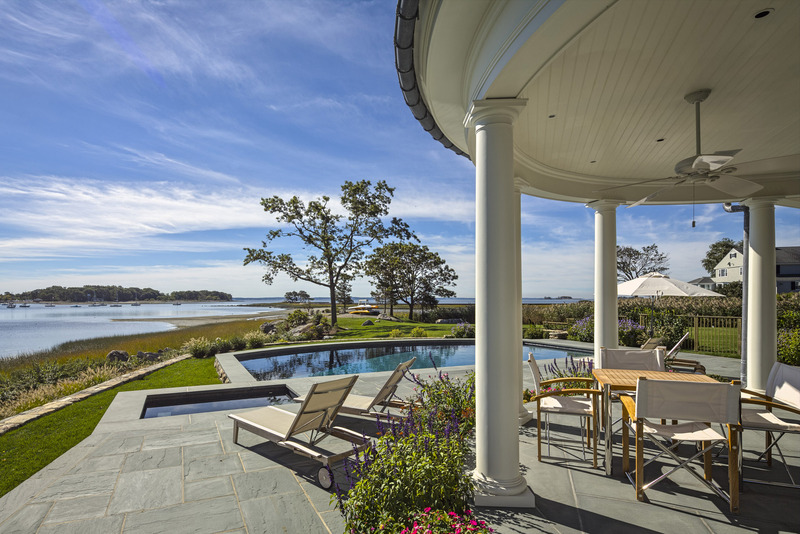 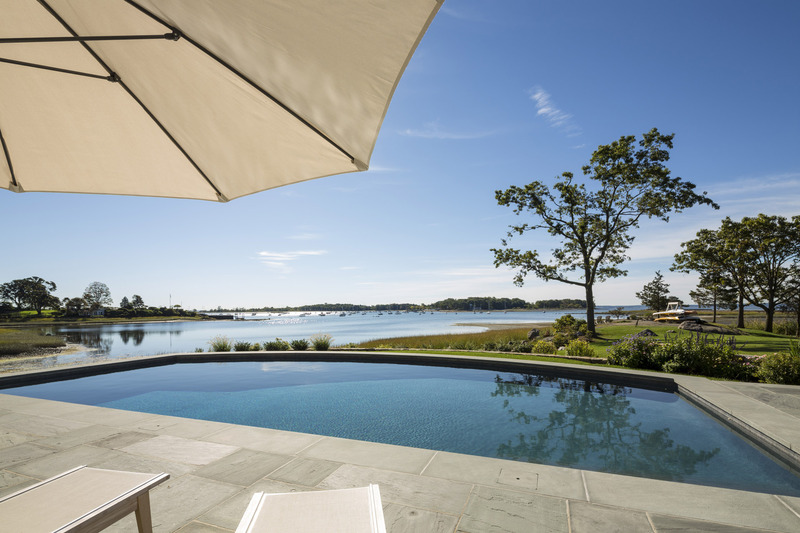 This elegant, curved edge pool design follows the lines of the property’s natural landscape to capture the stunning 270-degree coastal view. 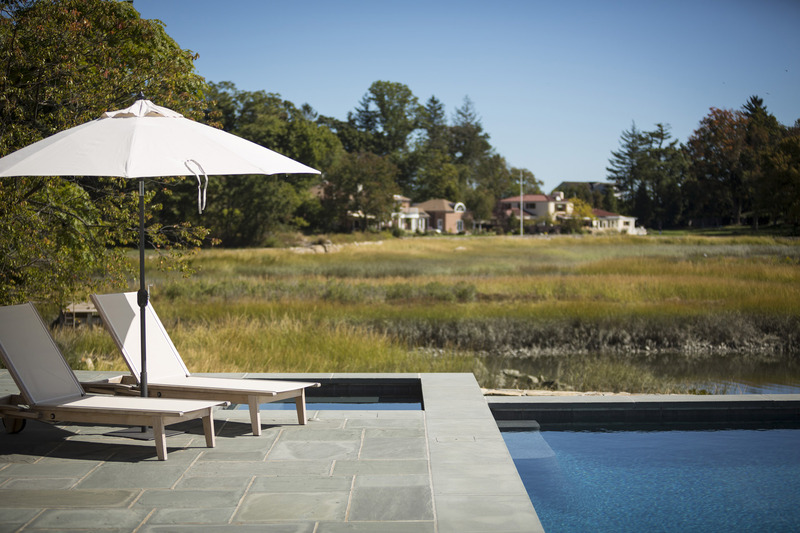 A custom fieldstone retaining wall gives the illusion of a drop-off and to creates useable sections of level lawn. The bluestone deck runs seamlessly into the home’s covered veranda to create an expansive outdoor entertaining space.